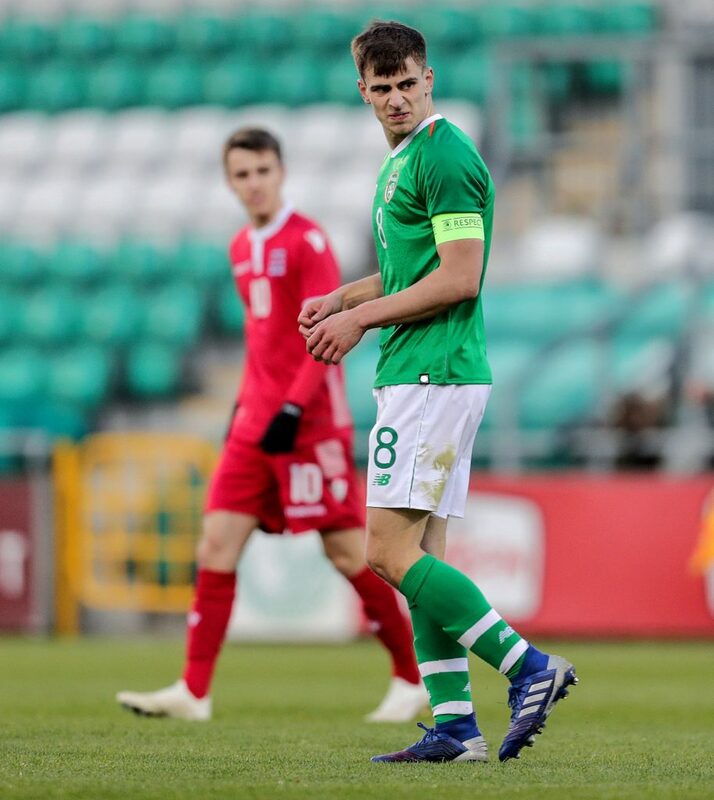 Waterford’s Jayson Molumby reacts to a missed chance as he captained Ireland to victory over Luxembourg in their Euro U-21 Qualifier in Tallaght. Photos: Inpho. 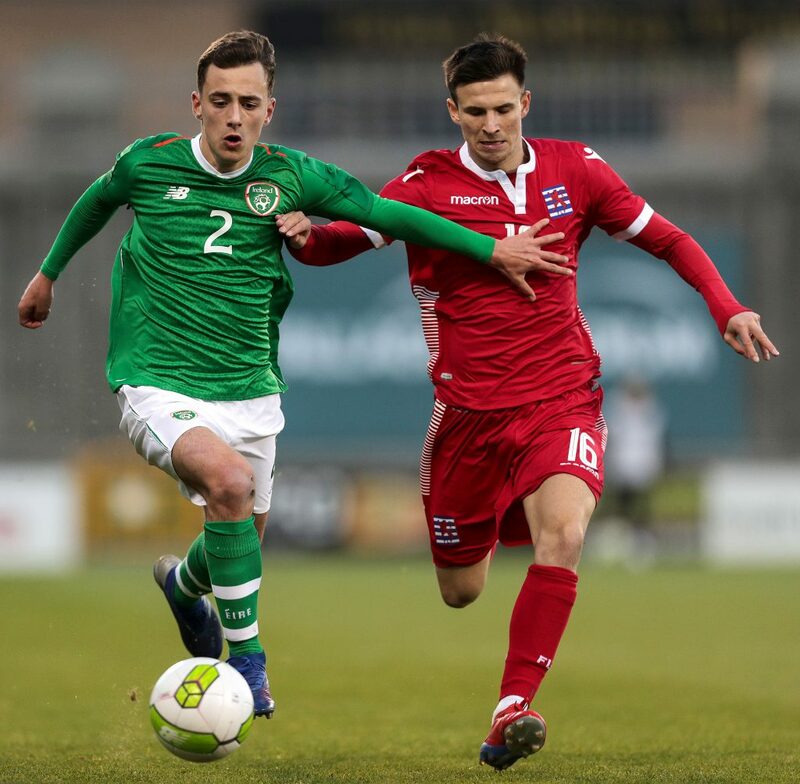 Jayson Molumby turned on the style at the Tallaght Stadium on Sunday last as he led the Republic of Ireland Under 21 side to an opening success in their UEFA Euro 2021 Championship qualifier as the Irish got the better of Luxembourg. The game marked the beginning of a new era for manager Stephen Kenny where he named the Brighton & Hove Albion player as he captain and he played a pivotal role in helping the former Dundalk boss get his International management spell off to a winning start. Molumby was joined in the Irish starting eleven by fellow Waterford native Lee O’Connor, who put in a starring performance at right-back, while Waterford FC winger Zack Elbouzedi put in an excellent performance before his late departure, while the Blues striker Aaron Drinan also made an appearance. After a slow start to the game, the hosts began to get a foothold and they opened the scoring with 34 minutes on the clock when Neil Farrugia whipped in a corner kick from the right that found striker Adam Idah at the near post and he powered a header to the top corner of the net. It was Farrugia that doubled the Irish lead four minutes later when he took a pass out on the left-side of the penalty area from Connor Ronan and the former beat the Luxembourg keeper with an exquisite finish from inside the area. As Ireland continued to dominate the game, it was Molumby that nearly added a spectacular third goal on 59 minutes when he picked up a loose clearance from the visiting keeper, but his 35-yard lob came crashing back off the crossbar. The hosts did add a third goal through Adam Idah soon afterwards before Molumby was denied a goal that his performance deserved as the Luxembourg keeper made a smart save. Stephen Kenny decided to take off his captain before turning to the crowd proclaiming “What about that? He was brilliant, wasn’t he.” It definitely was an impressive return to International football for the midfielder. Speaking after the game, the Irish captain said, “It was the start that we wanted really. Three goals, three points and a cleansheet. To get a win with any group, but especially a new group is brilliant and we’re delighted with that. “There is just a great confidence between us. He (Stephen Kenny) gave us the freedom to express ourselves and we’re taking to it very well. It was great to play free flowing tonight. I normally play defensive style football in Brighton so to get forward a bit more was great. Commenting after the game, Republic of Ireland manager Stephen Kenny paid tribute to the Waterford youngster. “I thought that it was a good performance, a really good performance,” said Kenny. “The players have been terrific all week and they brought it into the game today. I don’t think that the 3-0 win flattered us and certainly we could have had more goals. “I don’t know how Jayson Molumby hasn’t scored today. He was brilliant for us. He did everything in the game and played a real captain’s role for us. I’m delighted for him. He was 15 months out injured and I think it was very inspirational from him. It was great and I’m delighted with it. Waterford’s Lee O’Connor taking on Tiago Semedo Monteiro of Luxembourg during their UEFA EURO Under 21 Championship Qualifier at Tallaght Stadium on Sunday.